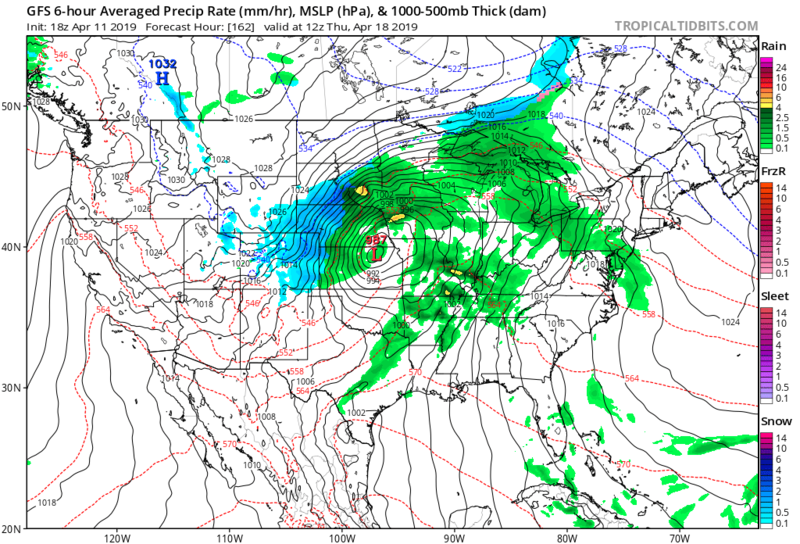 Today I will merely post more notes on what The Weather Channel calls Winter Storm Wesley, which as expected produced blizzard conditions across portions of South Dakota and Minnesota. As stated yesterday Wesley’s characteristics are not that far away from climatological norms, but the storm has and will produce more misery for already water logged areas of the Plains and Mississippi Valley that did got hit by climate change factored systems earlier from winter into March. Before we get to those notes I have seen some disturbing trends from Thursday’s models. 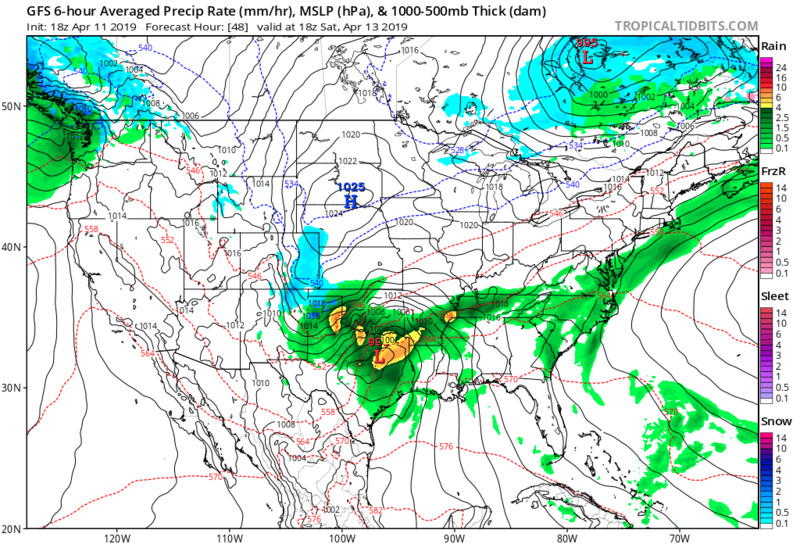 The jet storm track is poised to bring storm after storm through the Plains into the Mississippi Valley over the next ten days, which would produce much more unwanted wetness. For example, will this forecast cyclone be a big nuisance?